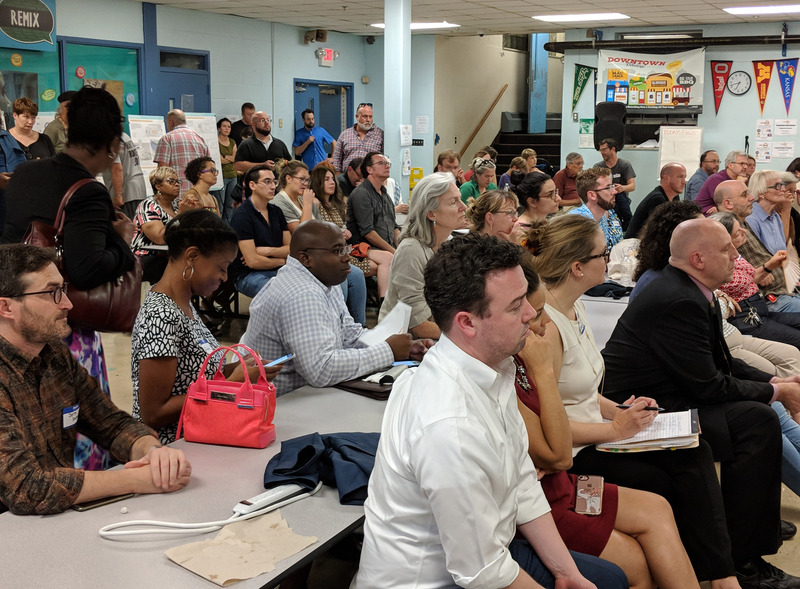 The turnout was impressive for last Monday’s public meeting on the future of the Cranston Street Armory in Providence! Utile has been working with the State of Rhode Island and a Steering Committee to develop a reuse plan for the 190,000 square foot former National Guard armory, which has been underutilized to nearly vacant in recent decades. The project team was excited to present the progress and next steps of the plan, as well as opportunities for public involvement during forthcoming phases. The meeting was hosted by the West Broadway Neighborhood Association, which has been a tireless advocate for community participation. You can read more about the project at the Cranston Street Armory Reuse Plan website.